At the end of each school year and educational activities, the animals housed in the Interactive Didactic Center of the IMC Foundation of Torregrande (OR) are released. The ZOUMATE project allowed the creation of an educational-interactive path on the water cycle, from the fresh and brackish waters to the marine ones, organized with a series of mesocosms reproducing the three different habitats. The animals housed in the mesocosms of the IMC Foundation, come from by-catch: they are captured by the fishermen and have been housed in the wet laboratories of the IMC Foundation for the exclusive use of awareness and information actions on educational activities planned with schools. 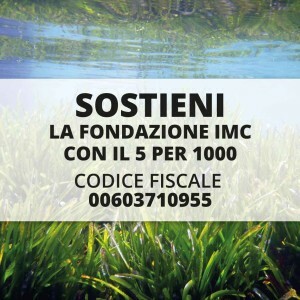 The aim of the ZOUMATE project, in addition to the training one, is to increase the actions of recovery and environmental respect of the resources with an approach aimed at sustainable development.